Dorothy C. Wallace donated the 93-acre Howard D. Colman Dells Nature Preserve to the Natural Land Institute in 1997. Her contribution was a tribute to her father, the late Rockford industrialist Howard D. Colman. 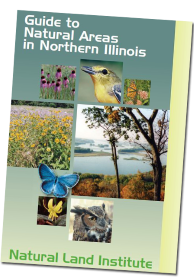 In 1998, the 55-acre portion of the preserve located in Winnebago County was dedicated as an Illinois Nature Preserve. Howard D. Colman Dells Nature Preserve offers a piece of natural history unique to Winnebago and Ogle counties. It is a prime example of a high-quality northern Illinois forest. An array of unusual plants fill the area, including Canada yew, chinquapin oak and the only remaining native white pines in Winnebago County. A clear and shallow stream, Hall Creek, meanders through the shadows of vertical dolomite dells. The preserve is rich in cultural history as well. Aldo Leopold, famed Wisconsin naturalist and author of A Sand County Almanac, worked for Howard D. Colman on a deer-forest management project in 1936. This was Leopold’s first work in the Midwest on deer-forest management and the implications of overgrazing on the health of the natural community. In the 1950s, Egbert Fell, the father of the Natural Land Institute’s founder George Fell, documented plant species from the area in his publication Flora of Winnebago County. Restoration of a nine-acre field at the preserve began in 1999 with the planting of native hardwood seedlings, including oak, hickory, walnut and butternut. In 2002, volunteers again planted seeds, nuts and acorns to close the opening in the forest canopy. Volunteers are also helping with stewardship at the preserve by assisting with the control of invasive honeysuckle. From Meridian Road turn west onto McGregor Road and travel about a mile to Weldon Road. Take Weldon Road to the north for about a mile. The entrance is on the east side of the road.